Hokua at 1288 Ala Moana Boulevard set the precedent for luxury residential high-rises in Honolulu. Completed in 2006 and co-developed by The MacNaughton Group and Kobayashi Group, Hokua remains one of the most luxury buildings in Honolulu. The luxury residences integrate seamlessly with a mixed-use podium, offering retail, offices, and popular restaurants such as Tango Cafe and Panya Bistro. Conveniently located across Ala Moana Beach Park, it is in close proximity to Ward Village and minutes from Ala Moana Shopping Center, beaches, and world-famous Waikiki. Contact Jack Tyrrell- one of Honolulu’s TOP Realtors and most trusted Kakaako luxury condo agent- to talk about floor plans and real estate for sale! On-sight staff makes life much more relaxed and luxurious. From greeting you upon arrival, answering questions to bringing packages up to your unit, they take care of the little details. They also can assist you in organizing car detailing or occasionally valeting your car. 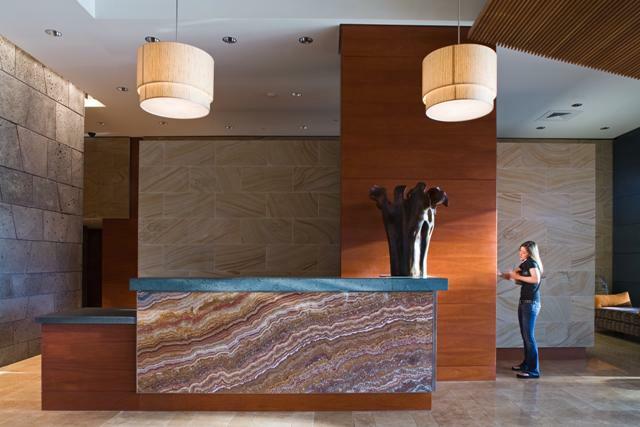 Small services which make the Hokua more like a hotel than just another condo. This is the Hokua difference. Because of the way the building is designed and oriented, it means every unit from the 5th floor and up has an ocean view. The dominant feature of Hokua’s recreation deck is a vanishing edge pool with a sweeping view of the Pacific Ocean, bordered at the back by a large Jacuzzi. There are five separate enclosed barbecue cabanas, equipped with gas ranges, that may be used for family gatherings, parties, or any other occasion. Residents can have up to two dogs - and at the recreation level they may be taken off their leashes and given free reign in two dog park areas. Other marquee offerings include a play area adjacent to the pool area which features a newly resurfaced tennis court, as well as playground equipment for younger children. A fully equipped, state-of-the-art fitness center, with locker rooms, and sauna.